Xarelto (Rivaroxaban) is the leading brand of a new generation of anticoagulants (blood thinners) currently on the market. Although it has been marketed as a drug that is easier to use for both doctors and patients because it requires less testing and monitoring than older medications, it comes with a troubling risk: incidents of Xarelto internal bleeding have no known reversal agent, leaving patients open to the possibility of fatal hemorrhage. Like Pradaxa, a similar anticoagulant now available to patients at risk for blood clot formation and stroke, Xarelto has been responsible for an alarming number of serious incident reports registered with the FDA. 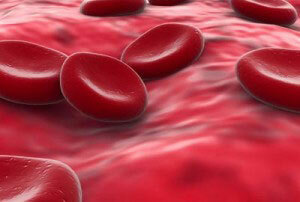 Many relate to internal bleeding, including bleeding deaths. While some pharmaceutical companies are actively working to produce a reversal agent, there is still no such agent available and physicians lack a well-defined protocol for coping with emergency bleeding incidents. The risk of Xarelto internal bleeding is also troubling because doctors and potential patients were allegedly not given adequate warning about the lack of a reversal agent, robbing them of information that should have informed a crucial decision about their medical care. Because Xarelto is an anticoagulant, thinning the blood to prevent clot formation, it puts patients at risk for uncontrolled bleeding incidents even in the case of relatively small injuries. Warfarin, the go-to anticoagulant before Pradaxa, Xarelto, and other medications came on the market, was also associated with elevated internal bleeding risks. However, doctors could treat patients suffering from bleeding incidents related to warfarin with vitamin K. The crucial problem with Xarelto is not that it raises the risk of internal bleeding, but that there is no reversal agent. Doctors have limited options when confronted with Xarelto-related internal hemorrhages. Certain patients have an increased risk of bleeding problems when taking Xarelto. Patients who have a history of bleeding problems or are currently experience bleeding problems should not take Xarelto. Pregnant or breastfeeding women should avoid taking Xarelto. Doctors should screen for liver or kidney problems in potential patients, as such problems may lead to build up of Xarelto in the body and a higher bleeding risk. The Xarelto side effects warning label does caution doctors and patients that the drug comes with a risk of internal bleeding. Moreover, there is now a “black box” warning (the most serious available) regarding the risk of spinal hematoma, and the possibility of paralysis associated with this complication. Prior to that time, many patients and their doctors had no reason to suspect that a bleeding event would have no effective reversal agents and that doctors had few options in responding to an internal bleeding emergency. Emergency bleeding often necessitates stopping Xarelto, and it can take 24 hours to flush the medication out of a patient’s system. Stopping medication puts patients at risk for blood clots or stroke. Approximately 7.25% of the Xeralto adverse event reports sent to the FDA during the 2012 fiscal year involved fatalities. Nevertheless, it is in a patient’s best interests to seek medical care promptly if he or she experiences any symptoms indicating internal bleeding. Though treatment options are limited in the absence of a reversal agent, timely medical interventions may save a patient’s life. The number of serious adverse event (SAE) reports received by the FDA concerning Xarelto (2081 in the 2012 fiscal year; many involving internal bleeding and 151 involving fatalities) suggests that Xarelto bleeding risks have reached troubling proportions in the general population. The Institution for Safe Medication Practices issued a report on May 7, 2014 indicating that Xarelto had outstripped Pradaxa in this regard. German health officials also report a high rate of Xeralto injuries and fatalities during this period. Though the risk of bleeding in the brain is lower with Xarelto than warfarin, according to some studies, the lack of reversal agent may cancel this benefit out. A study published in August in the Journal of Neurosurgery notes that a rapid response to internal bleeding events such as intracerebral hemorrhage (ICH), for which Xarelto places patients at risk, is crucial for their survival rate. Because the new types of blood thinners like Xarelto lack a reversal agent, this factor hampers the rapid response necessary to save lives and prevent brain damage. Moreover, the risk of abdominal hemorrhage may actually be higher with Xarelto in some cases. The FDA had approved Xarelto for 6 different indications, a flexibility that contributed to its success in the drug market. However, starting in 2013, they rejected three separate requests to broaden the applications for the drug, citing bleeding risks. The FDA censured Bayer through a warning letter in June of 2013 for playing down the risk of bleeding involving hemorrhage in connection to the spine. The FDA mandated increasingly specific warning labels regarding the lack of a reversal agent (though only in January of 2014). As reports of the link between uncontrolled bleeding and Xarelto become more widely known, patients who have experienced such episodes, or family members of those lost due to the lack of reversal agent, have begun to file lawsuits against Bayer. The first Xarelto lawsuits were publicized by the German press in June and other plaintiffs have come forward since then, many citing Bayer’s failure to warn about an antidote as one of their chief causes of action. Legal experts believe that the scope of such lawsuits may rival those brought against Boehringer Ingelheim, manufacturer of Pradaxa, which resolved claims against it with a $650 million settlement. Xarelto lawyers are currently reviewing the cases of injured victims to determine their eligibility for seeking compensation through litigation.